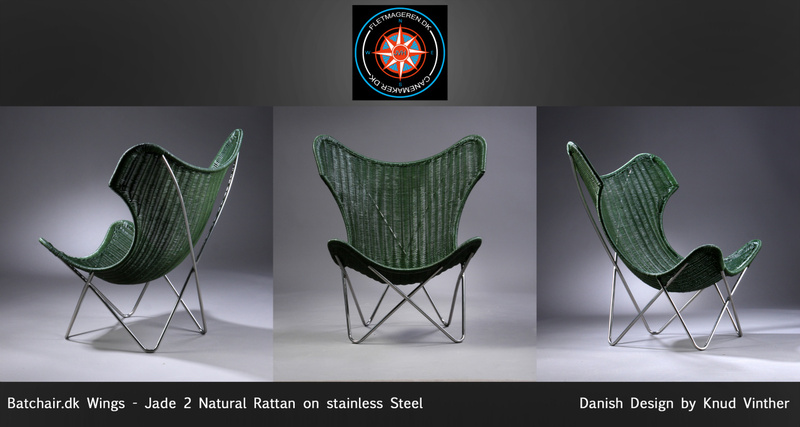 Natural and sustainable Kubu Grey Skin on a frame of stainless steel. 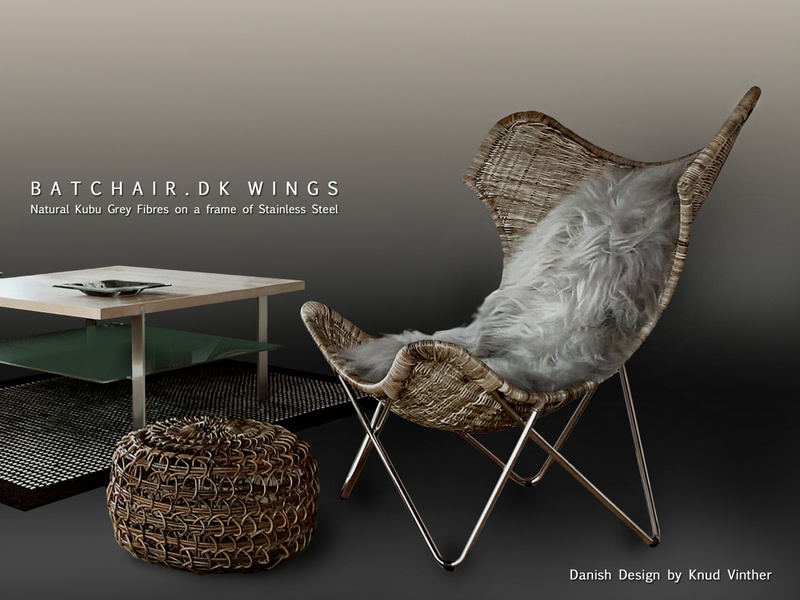 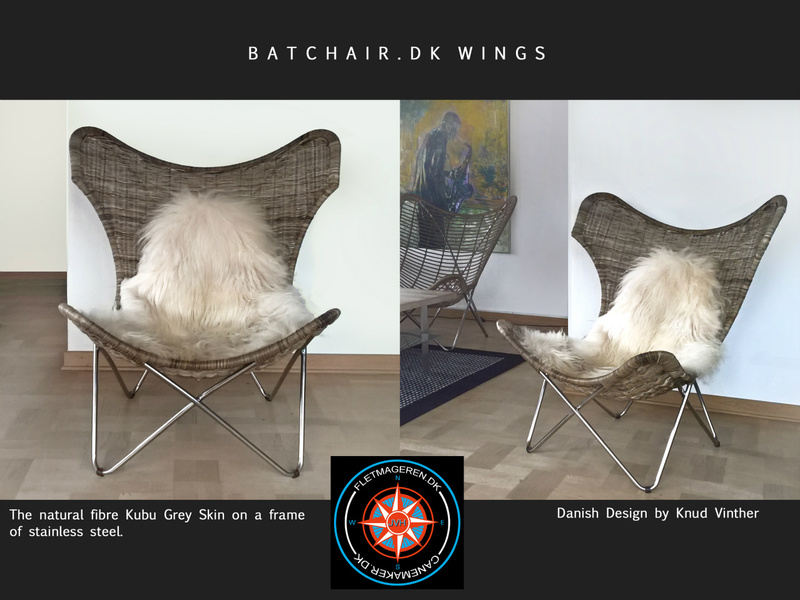 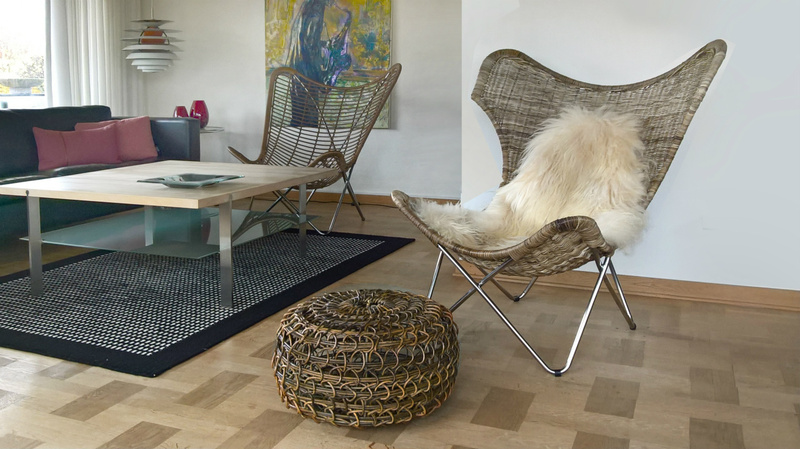 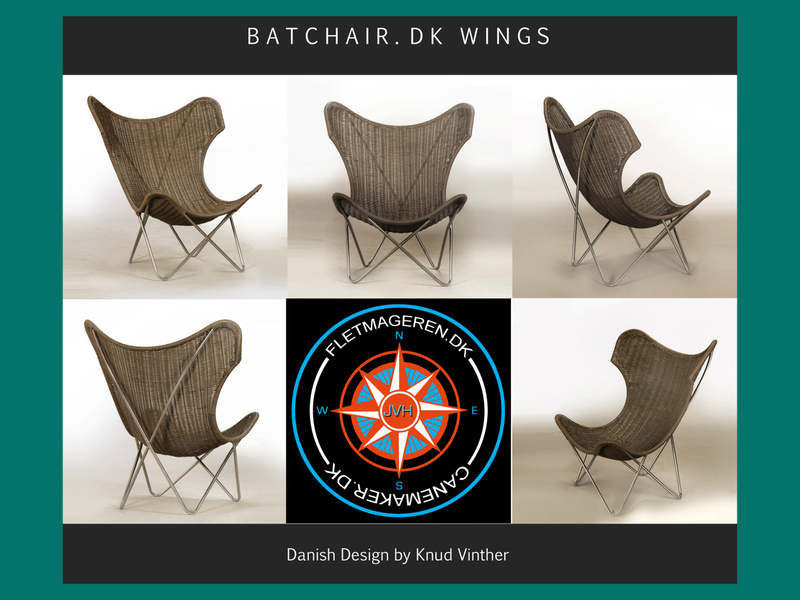 Batchair.dk Wings is designed by Knud Vinther in 2015 and it is published here at www.batchair.dk on August 26th 2015 at 11:58 p.m. 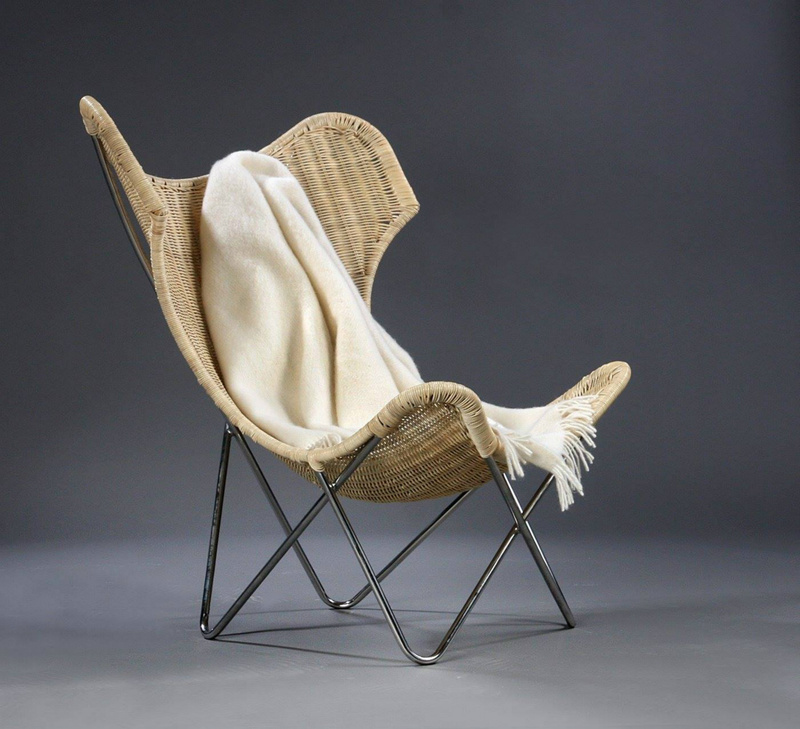 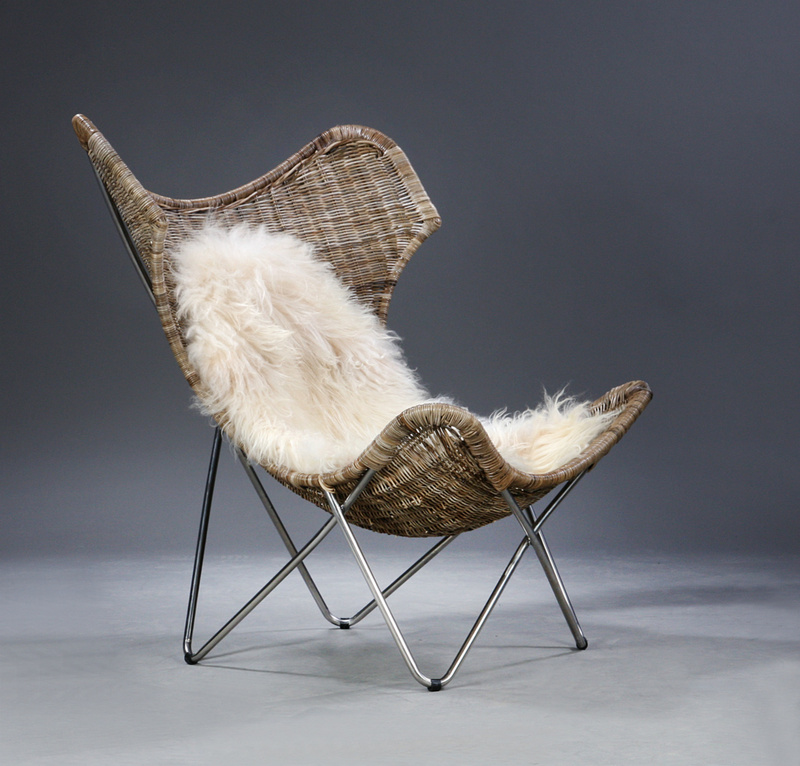 This specific type of batchair has got a stiff, full woven natural rattan seat and back, which is anchored firmly to the indoor stainless steel frame by the entire outline. 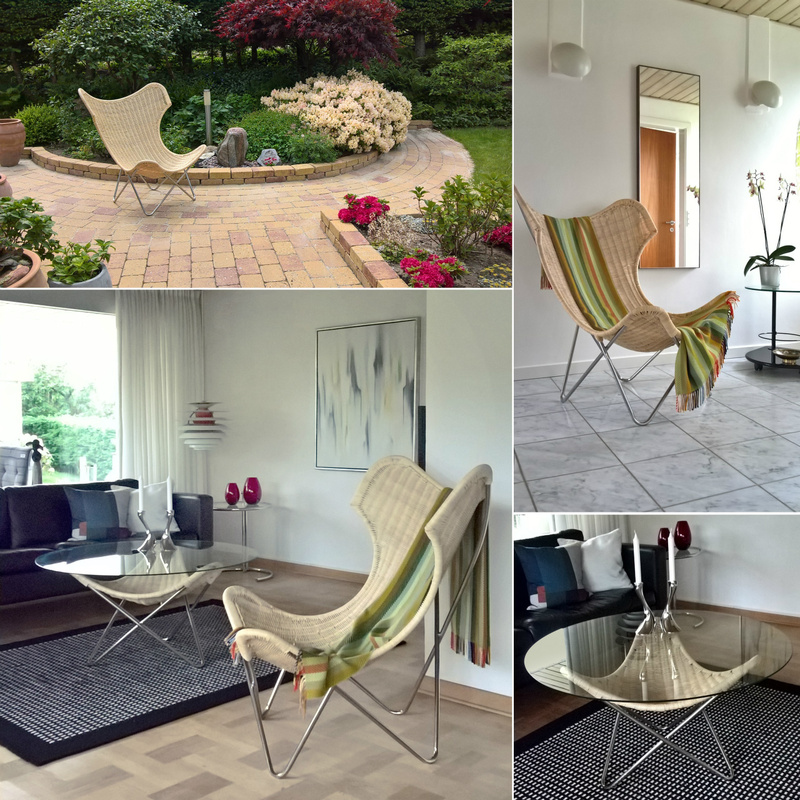 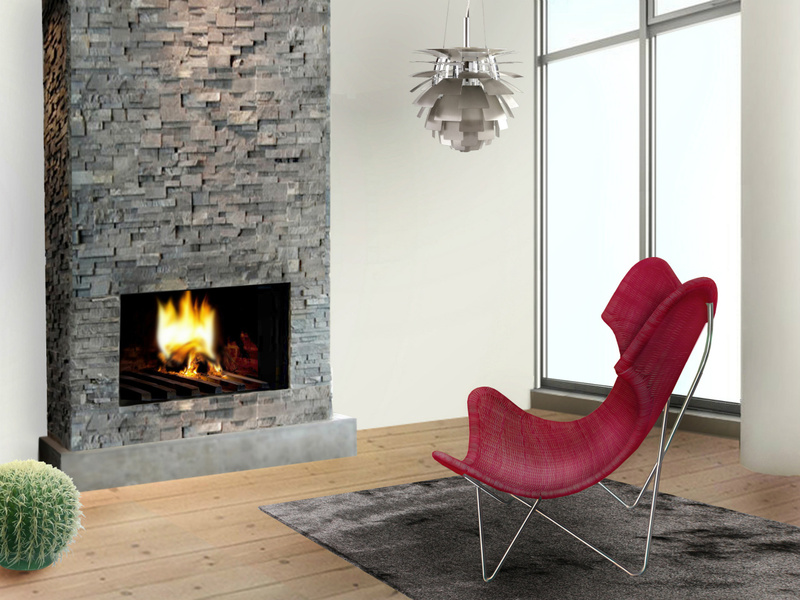 In this way, the chair gives a comfortable and fully stable sitting position, which can be further refined by different cushions and headrests.